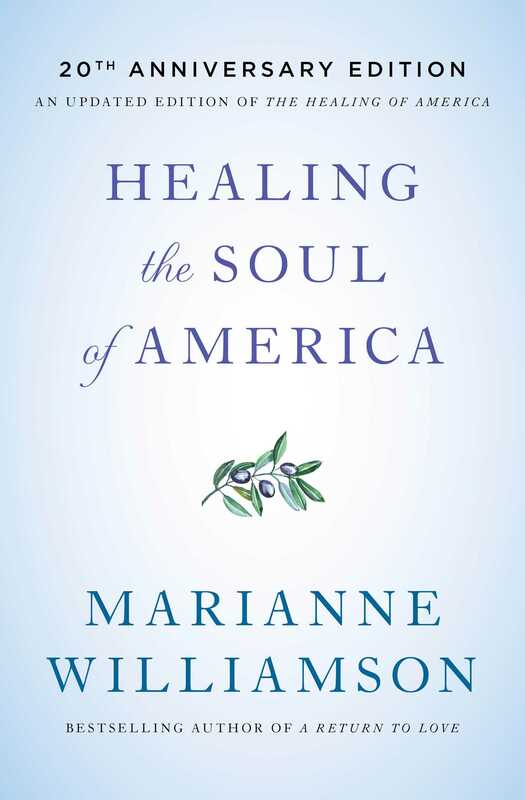 Now updated with new material by #1 New York Times bestselling author Marianne Williamson, the twentieth anniversary edition of Healing the Soul of America shares her timeless, visionary message of political healing. In the twentieth anniversary edition of Healing the Soul of America, Marianne Williamson reclaims her powerful voice for social conscience in American society. This is a time, according to Williamson, for Americans to return once again to our first principles, both politically and spiritually. Here, Williamson draws plans to transform the American political consciousness and encourage powerful citizen involvement to heal our society. With updated material throughout, Williamson explores the current state of American politics, reminding us of her theory of holistic politics—the convergence of political activists looking toward spiritual wisdom and spiritual contemplatives extending their service into the political landscape. She believes that a morally concerned American must now take an active stand in turning this country away from its current identity as a nation obsessively in love with its money to a nation more seriously invested in all of its children and the potential brilliance of every citizen. 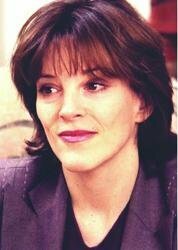 “Marianne Williamson…is attempting to…help not only her followers but an entire nation” (People). In the wake of the current political dysphoria, with countless tragedies consistently on the nightly news, America is facing a time of immense division. Political parties that completely polarize friends and family, mass shootings, threats of nuclear war, and a lack of confidence in our governmental leaders show that the country is in desperate need of restoration. We need a new paradigm of political understanding, a moral commitment to express it, and a new kind of activism to bring it forth. Healing the Soul of America is a blueprint for all three and there has never been a more urgent need. Many people are going around today saying, “In any situation, I just ask myself, ‘What would Buddha, or Jesus, do? What would the Torah tell me to do, or the Koran, or the New Testament?’?” Thinking about such things is a perfect test, reading the news today. Would Jesus, if he were a citizen of the richest nation on earth, choose to feed the poor or fatten the rich? It’s certainly an interesting question. All of us are better off when contemplation of holy principles is at the center of our lives. But it is in actually applying those principles that we forge the marriage between heaven and earth, whereas merely dwelling on principle falls short of the human effort needed to carry out God’s will. Just as we need the light of the sun yet looking straight into it can blind us, looking straight into the inner light can begin to blind us as well. There is a point in everyone’s spiritual journey where, if we are not careful, the search for self-awareness can turn into self-preoccupation. There is a fine line at times between self-exploration and narcissism. One way to see how we’re doing is to measure the fun factor: spiritual growth that’s too much fun all the time usually isn’t growth at all. Anything that has become too comfortable cannot ultimately be comforting. The universe is invested in our healing, and healing is a fierce, transformative fire. It is the product of human willingness to change, and change is often hard. For years, I thought I only had to heal myself, and the world would take care of itself. Clearly we must work on healing our own neuroses in order to become effective healers. But then, having worked on our own issues a while, another question begs for an answer: how healed can we ultimately become while the social systems in which we live and move, and have our earthly being, remain sick? Years ago, we realized that people’s psychology is intimately bound up with the psychology of their family units. Today, it is very clear that the family, too, dwells within a larger psychological and sociological system. It’s not just our childhoods or families whose dysfunctions influence us; our education system, government, and business structures are often dysfunctional as well, and in a manner that affects us all. None of us lives in isolation anymore, from anyone or anything. The principles that apply to our personal healing apply as well to the healing of the larger world. First, all healing principles are universal because they come from God. And second, there actually is no objective outer world, for what’s out there is merely a projection of what’s in our minds. The laws of consciousness apply to everything. Anything, when truly seen for what it is and surrendered to the higher mind, begins to self-correct, but what is not looked at is doomed to eternal re-enactment, for an individual or for a nation. Politics, ideally, is a context for the care of the public good. The word “politics” comes from an ancient Greek root politeia, meaning not “of the government,” but rather “gathering of citizens.” The source of power in America is not the government; the source of power is us. And millions of us, citizens of the United States, have begun to see life in a less mechanistic, more enlightened way. The consciousness revolution has already transformed both mainstream medicine and business: Harvard Medical School has hosted symposiums on the role of spirituality and healing in medicine, and highly paid corporate consultants call on business executives to turn their workplaces into “sanctuaries for the soul.” Politics is the only major corner of America that doesn’t yet seem to have heard that the world has unalterably changed. There are new ideas on the world’s horizon, as different from the twentieth-century worldview as the twentieth century was different from the nineteenth century. We are ready to apply principles of healing and recovery, not just to our bodies, not just to our relationships, but to every aspect of life. World conditions challenge us to look beyond the status quo for responses to the pain of our times. We look to powers within as well as to powers without. A new, spiritually based social activism is beginning to assert itself. It stems not from hating what is wrong and trying to fight it, but from loving what could be and making the commitment to bring it forth. A nonviolent political dynamic is once again emerging, and it is a beacon of light at the dawn of the twenty-first century. Its goal, as in the words of Martin Luther King, Jr., is “the establishment of the beloved community.” Nothing less will heal our hearts and nothing less will heal the world. It is a task of our generation to re-create the American politeia, to awaken from our culture of distraction and re-engage the process of democracy with soulfulness and hope. Yes, we see there are problems in the world. But we believe in a universal force that, when activated by the human heart, has the power to make all things right. Such is the divine authority of love: to renew the heart, renew the nations, and ultimately, renew the world.